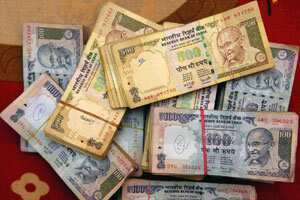 Mumbai: The rupee held strong in afternoon trade on Friday, comforted by gains in domestic equities and consolidation in the euro with underlying sentiment upbeat after European policy makers on Thursday agreed on a plan to contain the debt crisis. The Indian markets were closed on Wednesday and Thursday for religious holidays. The euro eased from a seven-week peak on Friday as markets consolidated after a huge relief rally in riskier assets sparked by a deal on Europe’s debt crisis, though further gains were eyed with asset managers still to cut short positions. The euro was at $1.4164 after touching a high of $1.4200, while the index of the dollar against six major currencies was at 75.038 points from 74.879 points previously. The local benchmark share index was up nearly 2.7% on Friday on back of the global risk rally. Some traders said dollar demand from oil importers had so far limited the rupee’s rise. Oil is India’s biggest import item and local oil refiners are the largest purchasers of dollars in the domestic foreign exchange market.